As the old saying goes, the show must go on. In the case of Vancouver, Canada’s Unleash the Archers, planning a two month North American tour swing months in advance with Brazil’s Hibria had to be changed on the fly, as ‘the skull collectors’ couldn’t get over the Toronto border due to U.S. visa issues and computer hackers who messed up the system for a few months earlier in the year. Enter fellow Canadian epic power metal band Crimson Shadows, who when asked to fill the slot last minute willingly re-entered the states for another go around. So after purging and packing more of my old Massachusetts apartment digs, I headed down to Providence, RI for this awesome night of metal with fellow DR scribe Matt Bower. Fete Music Hall is an interesting venue – multiple clubs within one means that two or more audiences can take in shows in different spots (tonight a reggae band played in another portion of the venue). The spacious digs and huge stage (for a change six-eight feet off the ground) made for great sightlines, and the layout of the club included balcony seating if desired. Great to see that Providence is now back on the map for some metal tours like this. At 9 pm Boston’s Seven Spires took over the stage with their brand of symphonic power metal. The multi-talented Adrienne Cowan takes her years of seasoning on stage and at Berklee and applies her highest caliber effort to getting the audience involved at every opportunity – chanting, screaming, and inviting the audience to sing along to key choruses (or growl parts). Performing a number of selections from the Cabaret of Dreams EP (including “Encounter”, the thunderous “Closure”, and carnival-esque title track) as well as newer songs that will comprise the upcoming full-length follow up, their energy, attitude, and stage presentation prove they belong in the big leagues. If you miss the Khan-Kamelot days with an even heavier nuance, this four-piece needs to be on your sonic radar screen. Fun loving progressive party thrash band Sonic Pulse keep delivering (and defending) the good times. Bassist Sam Peterson couldn’t be there due to work obligations – but friend Derek McLeod filled in more than admirably, considering the dizzying guitar how to course put on by vocalist/guitarist Mick Meyer and guitarist Nick Petrino. Cuts like “Queen of Beers”, “Jerkoffagus”, and “Bong Zombies” roared through the amplifiers and caused neck whiplash. Ending with “Hangar 18” from Megadeth (w/Mick noting the recent chance his fellow guitarist Nick got on stage jamming with his hero/look-a-like Marty Friedman during this solo tour in Boston), there is no doubt that you can’t walk away being stunned, impressed, and awed by the level of musicianship that takes place from these gentlemen. Crimson Shadows is a five-piece with an epic power metal sound that also has death tendencies. Some may put them in a Blackguard category – but for my money, their twin guitar harmonies plus double threat clean vocal background harmonies (also done by guitarists Ryan Hofing and Greg Rounding) push the band’s material to that higher degree of distinction. Vocalist Jimi Maltais took the time to remind the crowd about metal’s appeal as it speaks to our desire for rebellion – and considering a lot of the attendees probably weren’t that familiar with the group, they knew when to raise their fists in the air, bang, and chant in all the right areas. The set list contained cuts from their latest Kings Among Men offering like “Rise to Power”, “Braving the Storm”, and “Heroes Among Us”- as well as a surprise Stratovarius cover from The Fourth Dimension days with “Against the Wind”. Tour savers that can become saviors based on their crushing live delivery. 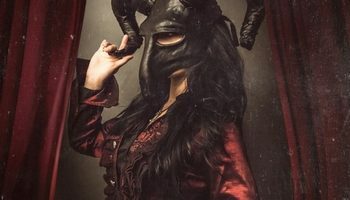 The final act of the night would be Unleash the Archers – already making a heady impression through the years because of their tenacious social media promotion and unyielding work ethic, this would be their first venture into Rhode Island. And probably not their last. Once the “Northern Passage” intro faded, the guitar charge of Andrew Kingsley and Grant Truesdell led the audience on a power/melodic death whirlwind for “Frozen Steel”. Vocalist Brittney Slayes needs no Auto-Tune enhancement or backing tapes to pull off her high pitch screams or multi-octave power – she is truly in a caliber of the Bruce Dickinson or Daniel Heiman stature. Her fun loving on stage persona also makes things entertaining – often volleying from one side of the stage to the other, karate kicking or side step dancing during many instrumental parts. The 55 minute set list included a healthy amount of Time Stands Still material, including video favorite “Tonight We Ride”, 80’s-oriented anthem “Test Your Metal”, and the epic “Dreamcrusher”- as well as dipping back into the previous album for “Realm of Tomorrow”, “Daughters of Winterstone”, and closer “General of the Dark Army”. 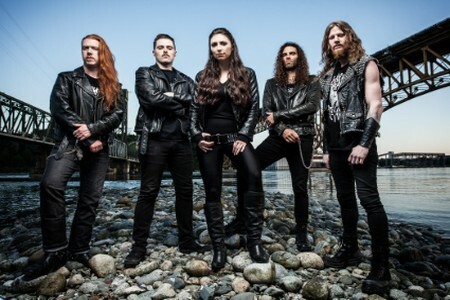 Primed and ready to take over the world, Unleash the Archers are sure to gain new converts at all of these shows. 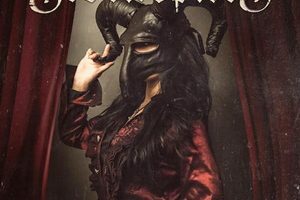 If you want to know who is going to command top billing when a lot of the older, traditional bands retire – Unleash The Archers possess all the requisite musical tools, songwriting, chops, and proper attitude to become one of those headlining mainstays.